Awards season has arrived, and so far, all the makeup and hair looks hitting the red carpet do not disappoint. Celebrities looked absolutely stunning in their sparkling jewels and fairy-tale gowns at the Golden Globes, but it turns out, there’s more to their look than just a bunch of makeup products. In fact, before the show began, makeup artists shared the two most popular beauty prep celebs go through to attain the skin that evoke worldwide envy. More and more people are heading to doctors’ offices for aesthetic treatments nowadays, which is largely due to the breadth of noninvasive options available—you can lose inches off your waist and tighten sagging skin, all without a single needle or stitch. Forecasted to reach $14.6 billion by 2023, the skin care devices sector is skyrocketing. 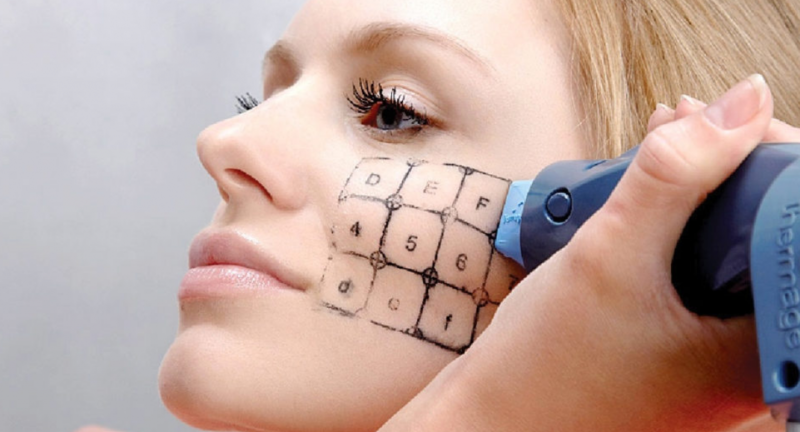 According to the report, one subcategory expected to witness the fastest growth in demand for these technologies over the next five years is skin tightening and body contouring. We spoke to Dr Low Chai Ling, medical director of SW1 Clinic at Orchard Paragon to get her thoughts on this trend. However, one big point of difference is how long the results last. Dr. Low notes that the results of noninvasive skin tightening and body contouring aren’t permanent like their surgical counterparts (in most cases), so the need for more treatments upfront and/or “refresher” treatments down the road is usually necessary. Other latest nifty tricks women to give skin a visible lifting pick-me-up without the downtime and expense includes the latest Luxe Lift Program, designed to incorporate Light Lift lasers using FDA approved Cutera’s Excel V and topical therapy of collagen coaxing actives. Most women find that maintenance of their skin with a well-designed laser program outperforms ad hoc facial treatments and topical skin creams alone, proving that a little foresight and early investment in your skin can reap bountiful returns in the long run. With regards to body contouring, she recommends using therapies from two ends pf the spectrum for best results—–Body Exilis Magic, a deeper radiofrequency device that causes fat cells to heat up and ultimately be destroyed, as well as tighten overlying skin and Coolshape, an improved cryolipolysis treatment that allows multiple treatment areas in the same sitting. A combination of these treatments are said to give results rivalling intense bootcamp sessions at the gym, according to users. “The destroyed fat cells are then slowly eliminated from the body over a three-month period,” Dr. Low says. “The results after multiple treatments (the number of treatments varies by patient) do not match invasive liposuction, but do they rival them.” It’s important to make sure you see a qualified doctor with experience using these devices.